Shana Butler ’19, an accounting major and history minor, and her team won their case competition and came in second overall at the summit. 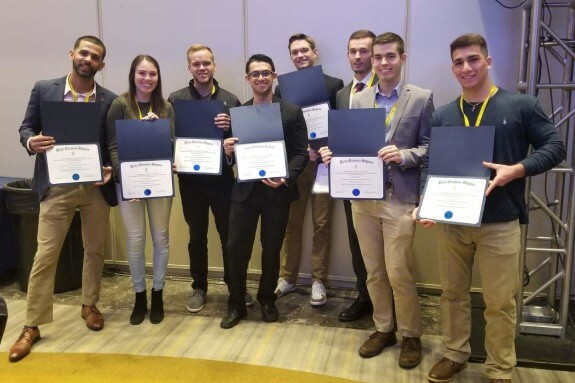 A team led by Ryan Peck ’18, who is currently finishing his master’s in accountancy at Northeastern University, won its case competition at last year’s leadership summit. Butler and Janine Murray ’19 attended the summit, which included students from around the globe. This year’s focus was teaching those who attended about entrepreneurship, innovation and leadership, with the aid of inspiring professionals and experts in their fields. Murray, an accounting major and management information systems minor who was recently awarded a $2,500 Deloitte Scholarship, said the summit expanded on her Stonehill-infused knowledge of leadership in business. 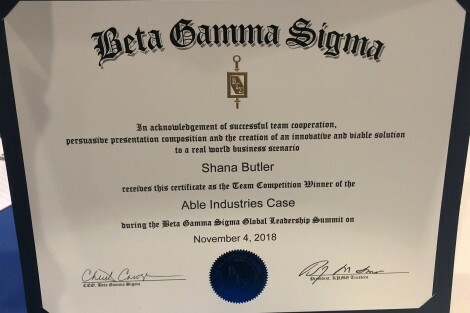 “I learned how to leverage strengths that will help me drive my career, about the impacts of ethical and courageous leadership, how corporations can think like startups, how to build relationships through networking, and about the importance of body language in business,” said the Westwood, Massachusetts, native. 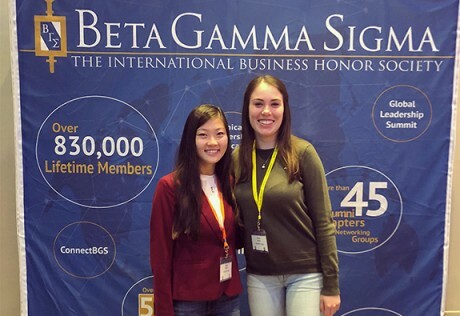 Beta Gamma Sigma, or ΒΓΣ, has more than 800,000 members in more than 540 collegiate chapters in business schools accredited by the Association to Advance Collegiate Schools of Business (AACSB) International. Stonehill is among the fewer than 5 percent of business programs in the world to have earned the accreditation. 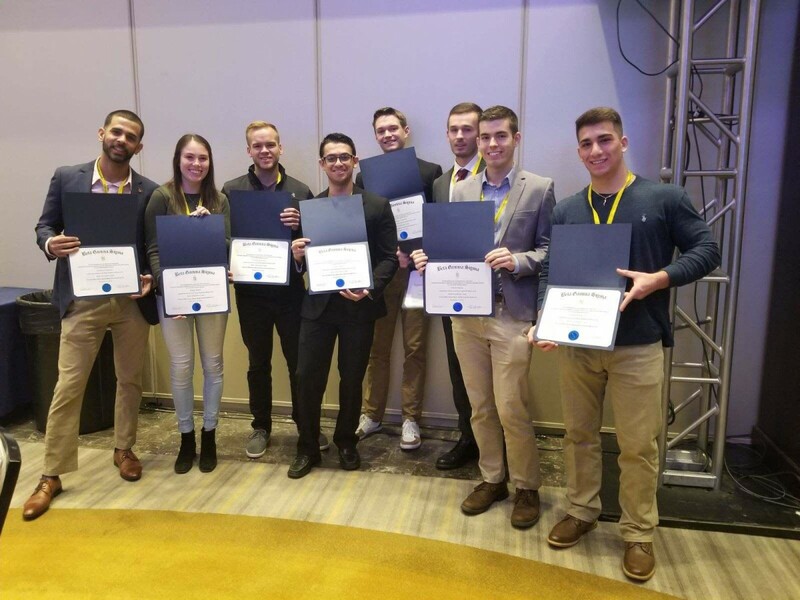 As part of the summit, the more than 400 students who attended split into 40 groups for the case study portion, a competition in which groups solve a problem for a hypothetical company. Debra Salvucci, dean of Stonehill’s Meehan School of Business, says our students are well-prepared for the case study portion of the summit. Both Butler and Murray will continue to build their leadership skills and hope to share their knowledge with other members of the Stonehill community. 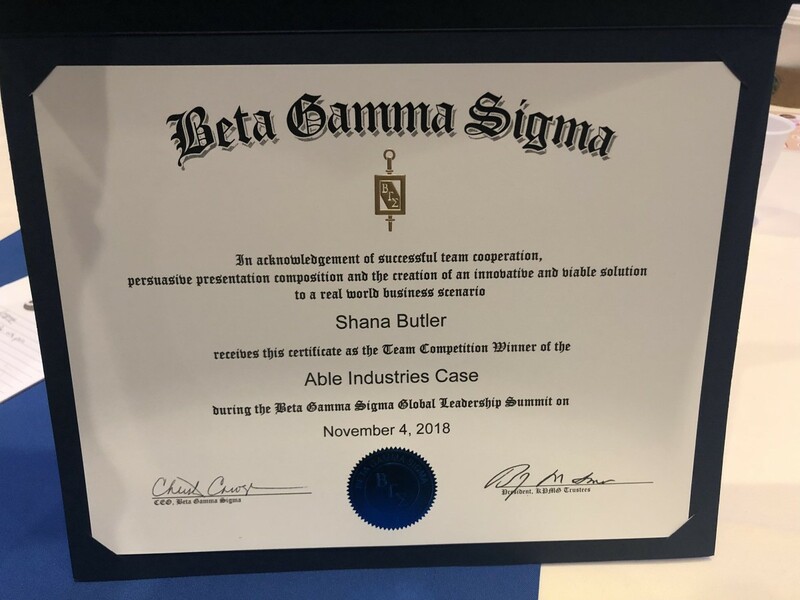 After graduation, both Murray and Butler will work at Deloitte & Touche, Murray as an audit associate in Boston and Butler as an audit associate in Austin, Texas.